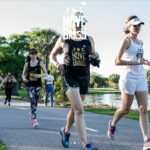 Move Ya Brass Krewe is a fun and funky fitness program. You come as a stranger, but you leave as family. 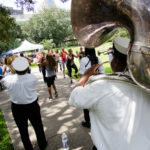 Our mission is to promote a happy, positive and healthy lifestyle and to encourage celebration of our daily lives by taking you off the sidelines and into a New Orleans second-line! 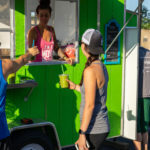 We add fitness to private parties, bachelorette weekends, and special events complete with live music and curated wellness experiences anywhere in the city. 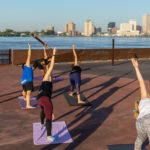 Robin Barnes has used New Orleans-style dance and music to create a local fitness movement that’s full of personality. Move Ya Brass is authentic, original, and so much fun for everyone who partakes! 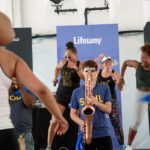 Our conference goers loved the stretch breaks that Move Ya Brass conducted with such enthusiasm and commented on it more than any other conference activity—including the speakers! Thanks a million for getting us up and Moving our Brass!